One of our garden favorites is stealing the spotlight right now. Anemone tomentosa“Robustissima” has cool, silvery pink blooms that provide a welcome counterpoint to all the hot pinks, golds, and crimsons of the late-summer garden. Here the anemones are planted with Artemisia ludoviciana “Silver King.” Both of these perennials are aggressive spreaders, if not outright bullies, so plant them where they can cover some ground without crowding out any delicate neighbors. 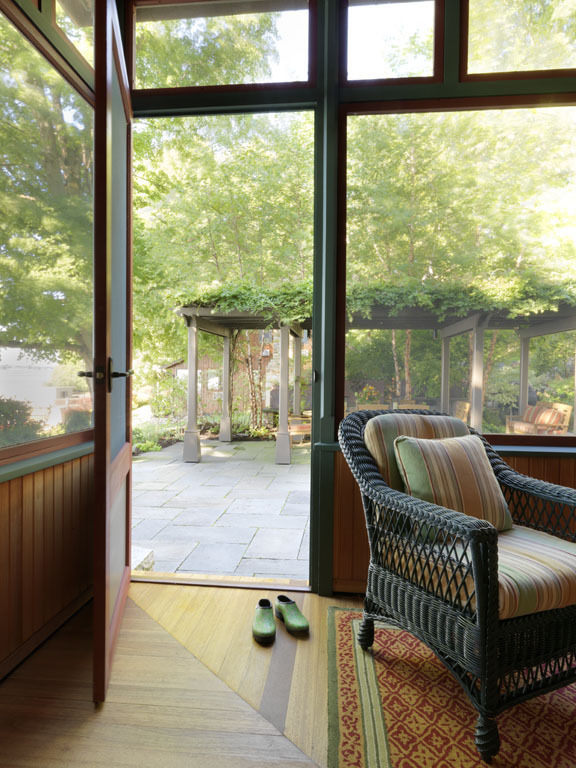 Screened Porch Season Is Nearly Here!